A reception in the city hall marks the beginning of the anniversary year of the training programme "International Deans' Course"
On June 19th, the "International Deans' Course" (IDC) started with a solemn ceremony. 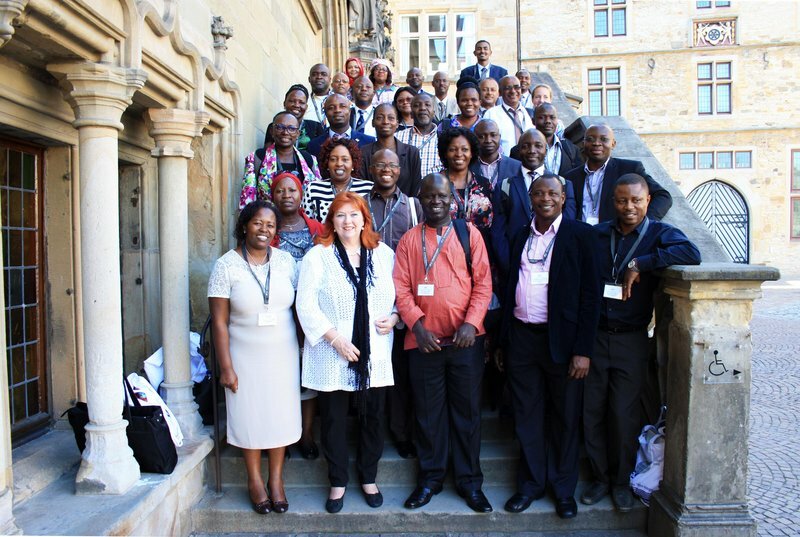 28 deans from eight different African countries were welcomed at the University of Applied Sciences. President of the University of Applied Sciences, Prof. Dr. Andreas Bertram, emphasised the enormous contribution of these programmes to the international dialogue. On an annually rotating basis, the University of Applied Sciences Osnabrück offers this course in the area of higher education management for deans either from Asia or Africa. The last course finished in Indonesia at the start of this year. At the moment, 10 women and 18 men from Ghana, Nigeria, Cameroon, Uganda, Ethiopia, Kenya, Tanzania and Sudan participate in the international programme. Right at the beginning of their stay, the participants visited the Osnabrück city hall – meeting Brigitte Neumann, member of the city council and deputy chairwoman of the city’s culture committee. Neumann welcomed the deans who received a first impression of the peace city. At the Caprivi-Campus, the leaders of African universities exchanged their experiences of the challenges of faculty management. The modules covered the areas of leadership skills, project planning and the comparison of the educational systems in Germany and Africa. Case studies from the participants' countries were implemented for illustrative purposes. Project director Prof. Dr. Peter Mayer was highly delighted to welcome the deans from Africa. "The present political debate on the future of African countries stresses the fact that our support in the field of education is crucial for their development. Still, not only African universities can profit from the programme, also Germany will profit from an improvement of the development perspectives in Africa", stated Mayer. After the initial week at the campus in Osnabrück, the higher education managers will proceed to Berlin where four additional modules will be linked with the already learned. At the end of November this year, the IDC will celebrate its ten-year-anniversary with a great conference in Berlin – expecting representatives from politics and partner organisations as well as former IDC-participants. The topic "Contributions to the development cooperation to strengthen the role of universities in developing countries" will be the centre of attention. 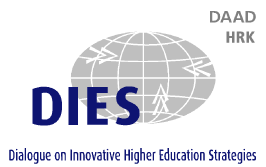 The IDC is a joint initiative of the University Rectors‘ Conference (HRK), German Academic Exchange Service (DAAD), Alexander von Humboldt Foundation (AvH), Centre for Higher Education Development (CHE), Freie Universität Berlin and the Osnabrück University of Applied Sciences. The DAAD supports the programme with funding from the Federal Ministry of Economic Cooperation and Development (BMZ).